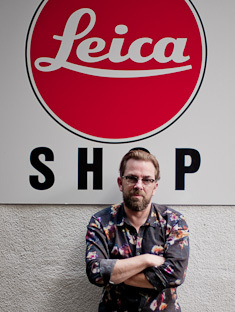 "Inside Leica Store Vienna with Peter Coeln"
If you are a Leica fan or photography fan, you should do your pilgrimage to Leica Shop Vienna in Austria. 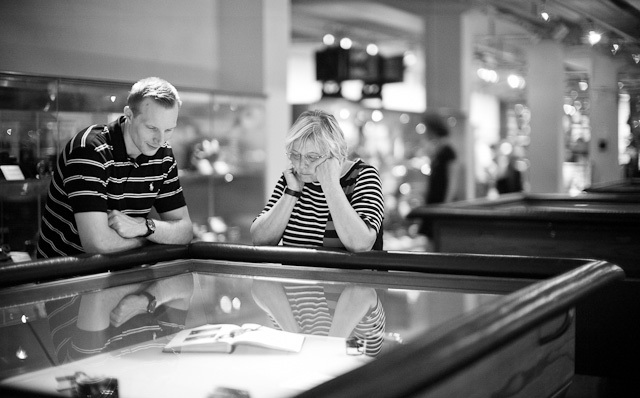 When I did a workshop there in September, we had Peter Coeln give us a guided tour, and we did a 19 minute feature about it, using the Leica M 240. 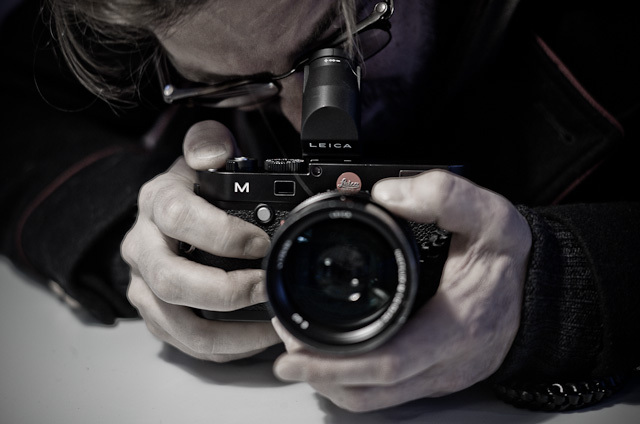 I will be back doing an Overgaard Workshop in Vienna, so that is your chance to get the ultimate Leica experience. Technically speaking, the Leica M 240 digital rangefinder is made for still photography, but the possibility of using it for video with Leica M and Leica R lenses is almost irresistible. I find myself using it more and more for interviews; I have it with me, and video interviews can be a good way of telling stories. As I mentioned in my Leica M 240 video article, "Why I Hate Video (and why you should too)", video isn't that simple. 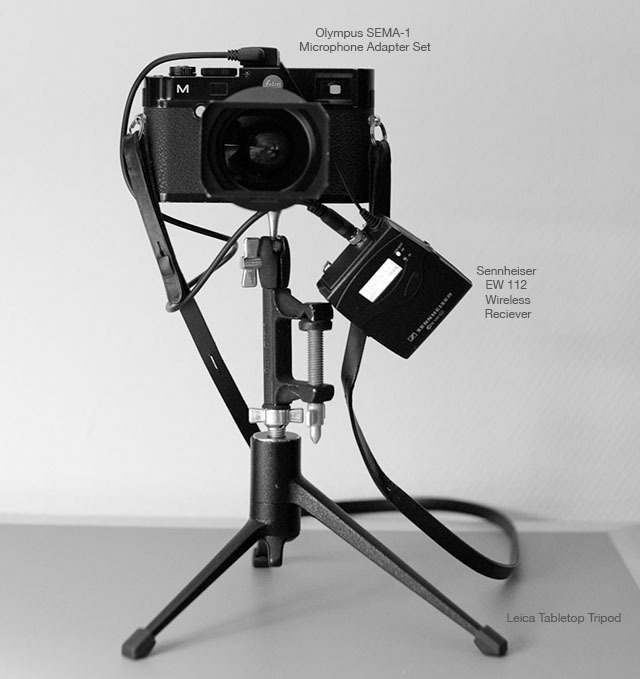 Recording video with the Leica M Type 240 and EVF-2 Leica Visoflex EVF2 Electronic Viewfinder. First you find the worlds smallest professional 35mm camera with full frame sensor, the Leica M 240, and you are as happy as you can be. Nothing is easier to travel with and less obstructive than that camera. But then when video enters the scene, you need proper sound and you need to stabilize the camera. Often you also need extra light. Microphones require cables and extra batteries, and stabilization is done with a tripod that is always too big, long and heavy. And ideally a tripod with a very expensive video head so you can do panoramas with nice and smooth movements. "Tripod is a game you just can't win"
"Tripod is a game you just can't win", as we coined our own slogan when I went looking for ways to stabilize the camera, whilst still keeping things compact on travels. Problem is, if you find a lightweight tripod, then you also found one that is not stable enough to withstand the wind. You find a short tripod that would fit inside a suitcase or bag and you also found a tripod that won't get the camera on a high enough level. You find a compact, foldable tripod that fits in a pocket and you will always need a table or something you can put it on top of. "Tripod is a game you just can't win!" A vintage HAMA screw-on tripod that I paid 10 Euros for at Leica Shop Vienna. 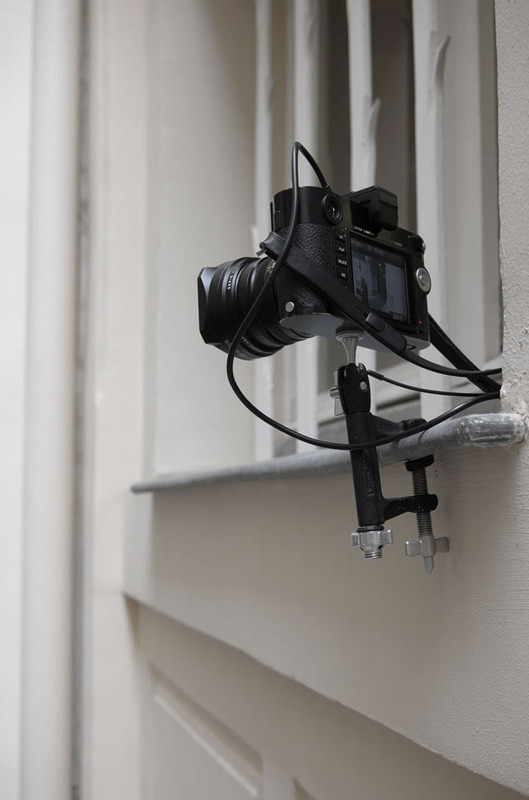 It's made of aluminium and can even work as a ballhead top on other tripods. Most of the still video shown in our video is made with this. After all, you can win the tripod game. I got a few other gems I decided could be part of my video rig. Left: The HAMA has a screw in the bottom so it fits on top of the Leica table tripod ($120) that is another leightweight travel piece that folds flat so it fits into a side pocket of a camera bag. You can also add a Leica ballhead ($200) to level the camera. Right: The HAMA screw also fits onto the Pico Dolly ($100 for a kit with magic arm) that is useful to create small movements (or to play with whenever you need an excuse to play with cars). In both pictures the camera is mounted with the reciever part of the Sennheiser EW 112 ($650). The next thing you realize with video is that you need good sound. The built-in microphone is good but picks up room noise and the camera operator's breathing. So a Sennheiser EW 112 wireless clip-on microphone kit is the right thing. Perfect isolated sound on the person. Except ... next thing you realize is that you need more than one microphone. So I went with an external recorder. You anyways can put sound, video clips, still images, music and all together in Final Cut Pro or Adobe Premier. By having the sound recorded externally you get cleaner sound, and the ZOOM H6 Handy Recorder has room for four external microphones. Wireless or via cable. And it also gives two possibilities that the Sennheiser itself does not offer: That you can plug in a headset and listen and adjust the sound you record (levels or if the person is scratching the microphone while speaking), and you can have somebody else monitor the sound, battery levels and all whilst you operate the camera. ZOOM H6 Handy Recorder ($400) with 6 channels and interchangeable microphones record on an SD-card. It comes with a stereo room microphone, and an interview microphone. The wind hood fits both microphones. The Sennheiser EW 112 wireless kit then goes on the person (transmitter) and the other part (reciever) goes into the ZOOM H6. 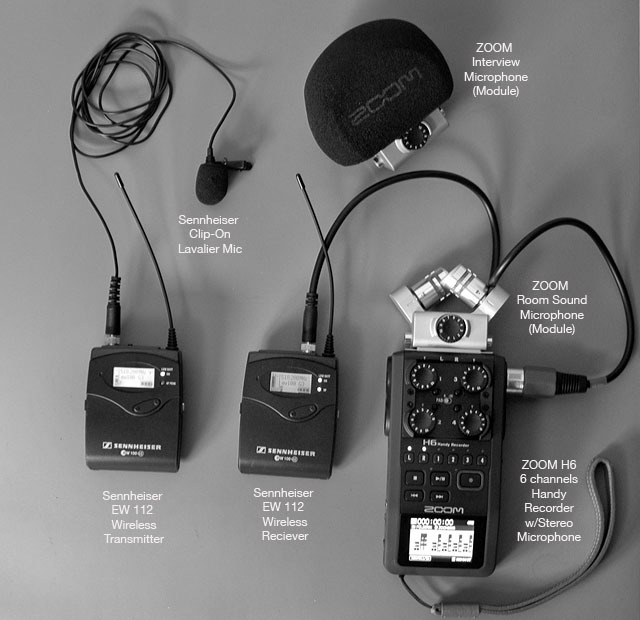 As the ZOOM H6 has plugs for 4 microphones, you can add four wireless or cabled microphones, and at the same time record the room sounds with the stereo microphone. The ZOOM H6 comes in a small case so it is easy to travel with. 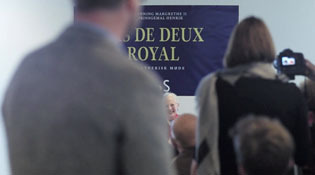 Now, one important lesson learned doing a few videos from press conferences and other events is that I thought I could set up a microphoen and a camera, start recording and then go about to do my still photos. Some times you can, but often you will realize that somebody stood in front of the video camera some of the time, or that the battery ran out midway, or the focus changed during recording (the person moved). The lesson learned: A video camera always needs attention from someone. And sound basically also does. It's not that it couldn't work. It is just that, if you want to be as much in control of the video quality as you are used to being in control of your still photos, you need more eyes and hands. 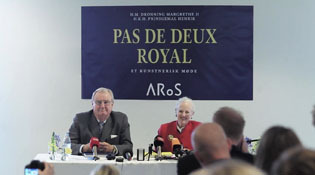 Well planned and set for the press conference with the Danish Queen and her husband, the Prince. Looking good! The instant Joy Villa asks the Queen a question, of all people, the press officer of the event stands in front of the camera. Who could have imagined? The buildings around the Leica Shop also is the home for thousands of rare photography prints, the worlds largest and most exclusive Polaroid collection, the private WestLicht Camera Museum, the cafe with bookstore. Twice a year (in November and May) the WestLicht Camera Auctions is also where the most expensive Leica cameras and lenses are being auctioned. The WestLicht Camera Museum has many rare cameras and funny stories to tell. Amongst the interesting things is the worlds first camera that is so rare only one example exists. All this, Peter Coeln started 22 years ago and it has been expanding ever since. The last expansion is a Leica Store in central Vienna with Leica Camera AG and the EastLicht Gallery that is photo exhibitions, as well as a library with one of the worlds largest photography book collections, open to the public. A great place for photography enthusiasts looking for inspiration, good coffee, a book and perhaps a rare lens hood for a Leica lens from the 40's. 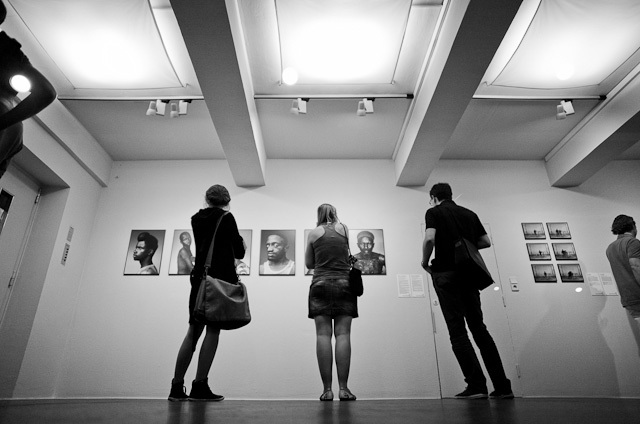 More than 20,000 people visited the World Press exhibition in WestLicht Gallery in September-October 2013. 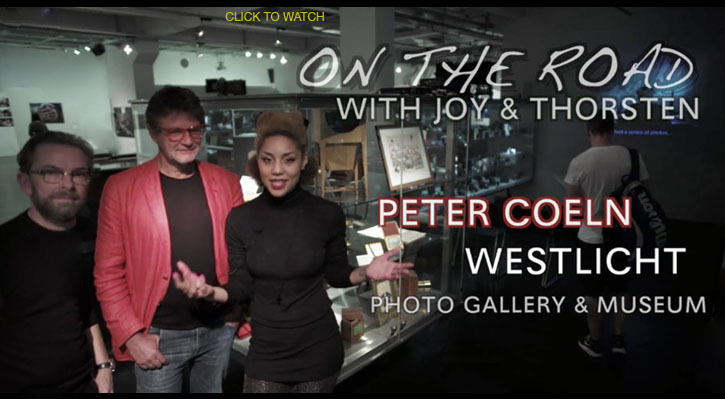 Above: Inside Leica Store Vienna with Peter Coeln (On The Road With Joy Villa and Thorsten von Overgaard). Video done with Leica M 240 and Leica 50mm Noctilux-M ASPH f/0.95 and Leica 21mm Summilux-M ASPH f/1.4 using Sennheiser EW 112 wireless microphone kit.